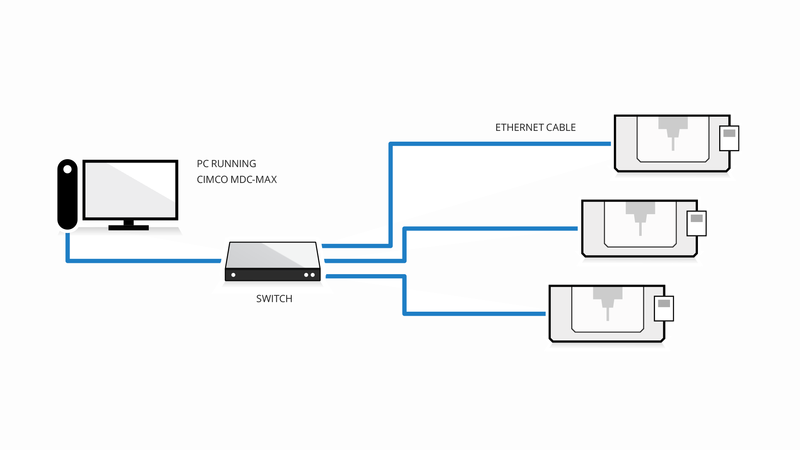 CIMCO MDC-Max can easily be added to your existing network supporting a variety of hardware options including serial wiring, Ethernet or a wireless networking. MDC-Max collects information from machines connected to your network either directly (direct connection) or using additional hardware (hardware connection). The data collection method depends on your specific type of machine and its monitoring capabilities. If the machine you wish to monitor has one of the data collection interfaces available (see table below), a direct connection can be achieved by simply connecting an Ethernet cable to the machine. In this case no additional hardware is required beyond what might be needed for operator input (e.g. tablet). However, it can be costly to activate or install the monitoring feature if not enabled on a machine control and a Hardware connection might be preferred. If your machine does not support one of the monitoring interfaces signals can be acquired from the machine using an input device such as the MDC-Box or Moxa ioLogik device. 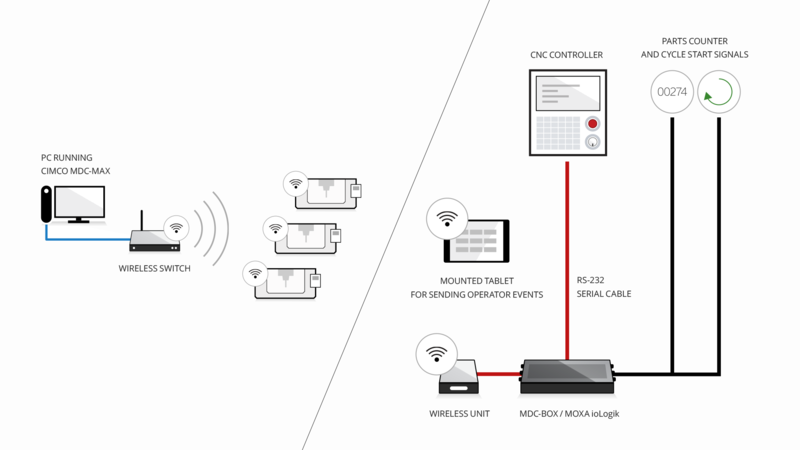 These devices handle the connection between your machine and network and facilitate signal transmission, in the form of machine event data, to MDC-Max. The following machine controls are just some of the many controls we support for direct connection. If your control is not listed please contact us for information about your specific machine and control. We are continuously adding support for additional machines.